Ever since the Steve Jobs biography was released and the comment about him finally cracking the TV, we’ve heard a ton of rumours about what the new Apple TV will be like and when it will be launching. 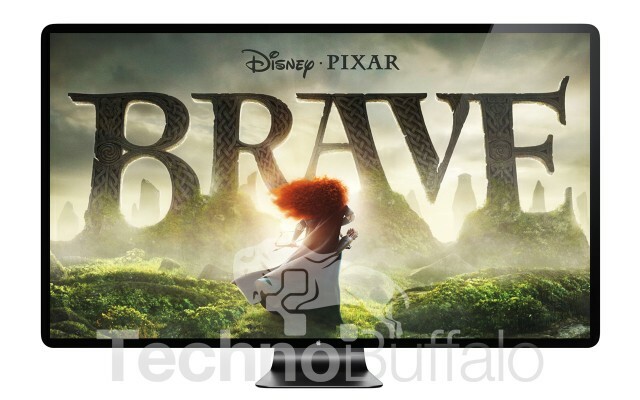 The latest report now indicates that Apple [AAPL] is actively seeking component suppliers for building a TV. This has been labelled as more evidence of Apple building a TV. Please note that the Apple TV and new Apple TV are different in that the current generation model is a device that connects to a regular TV. The new Apple TV is a whole TV that will have iOS integrated. A mockup/render is found below. Reports have also hinted at Apple seeking out manufacturers who are capable of creating screens from 3.5 inches all the way up to 55 inches. Computer displays from Apple tend to be around the 27 inch or 30 inch mark at the most which strongly suggests anything larger would be used for a TV rather than just a computer screen. We are not fully sure how Apple will make the TV different, but we suspect it will have a simple user interface that is sleek and fast. Also, Siri integration would likely be added so you can control the TV with your voice. iPad/iPhone integration would also be included allowing you to use smaller iOS devices as full screen remote controls for the device to get previews of the channel you are about to switch to, or set to record other channels without disturbing what is on screen. Also, this will work remotely so you can set it recording or perhaps even streaming back remotely. We also expect to see iCloud integrated with the Apple TV so that content can easily be shared across Apple devices in and out of the home. FaceTime is also likely to be part of the package. We expect to see more information this year, mostly (or all) based on rumours and annalist reports. If Apple does launch this year we are unsure what time frame they will choose as it is likely that the iPhone and iPad are now both 6 months apart with release dates, meaning Apple will probably sit a launch right in between both events in either July/August or perhaps December/January.